Daily marijuana use is at the highest level since the early 1980s for this age group, with 4.9 percent of college students and 12.8 percent of non-college peers reporting daily use. Cigarettes (past-month use): 8.9 percent of college students and 18.8 percent of non-college peers. 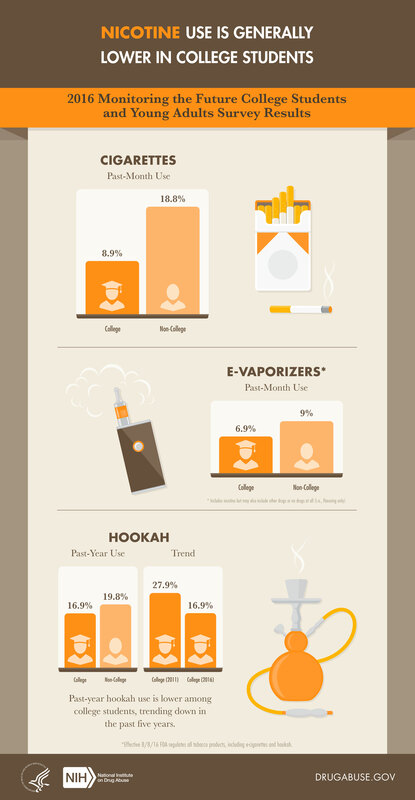 E-vaporizers* (past-month use): 6.9 percent of college students and 9 percent of non-college peers. * E-vaporizers may include nicotine, other drugs or no drug at all (i.e., flavoring only). Hookah (past-year use): Past-year hookah use is lower among college students, with 16.9 percent of college students and 19.8 percent of their non-college peers using hookah. In the past five years, hookah use is trending down in college students. In 2011, past-year hookah use was 27.9 percent and fell to 16.9 percent in 2016. 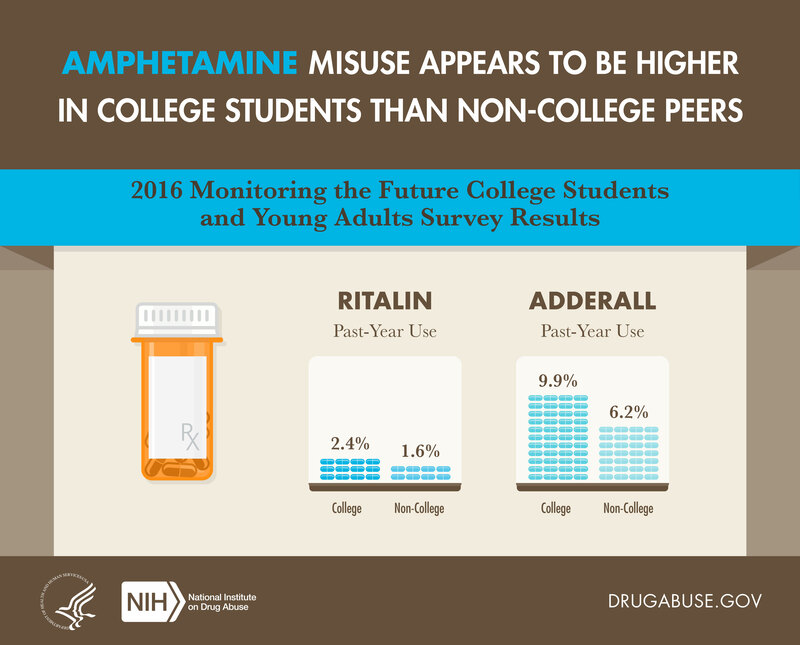 College students appear to have higher rates of amphetamine misuse, highlighting the trend of using these drugs to increase academic performance. However, there is no evidence that these substances increase performance long-term. Past-year use of Ritalin was 2.4% in college students and 1.6% in non-college peers. 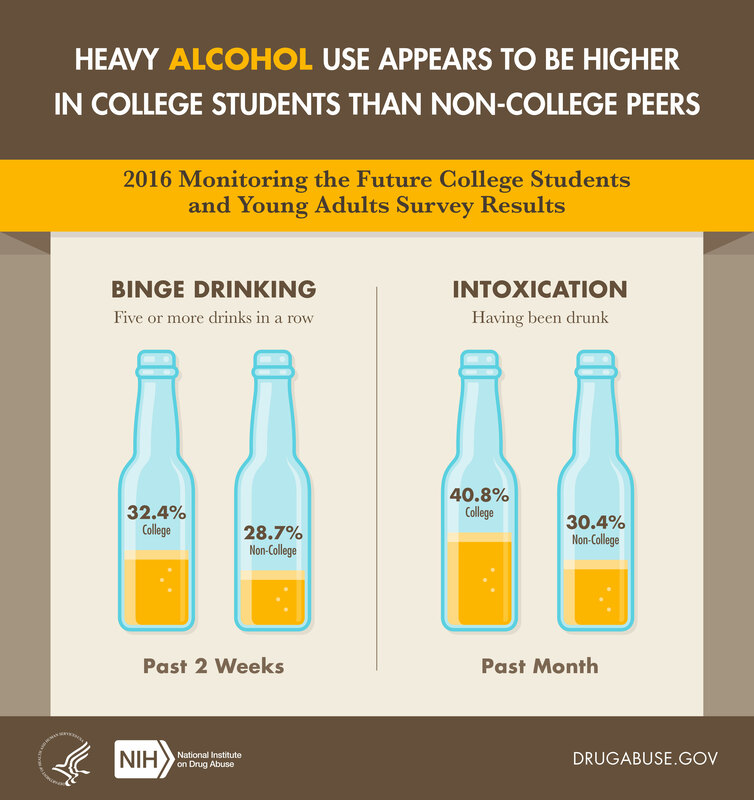 9.9 percent of college students reported past-year use of Adderall compared to 6.2% of their non-college peers. Schulenberg, JE, Johnston LD, O’Malley PM, Bachman JG, Meich RA, Patrick ME. 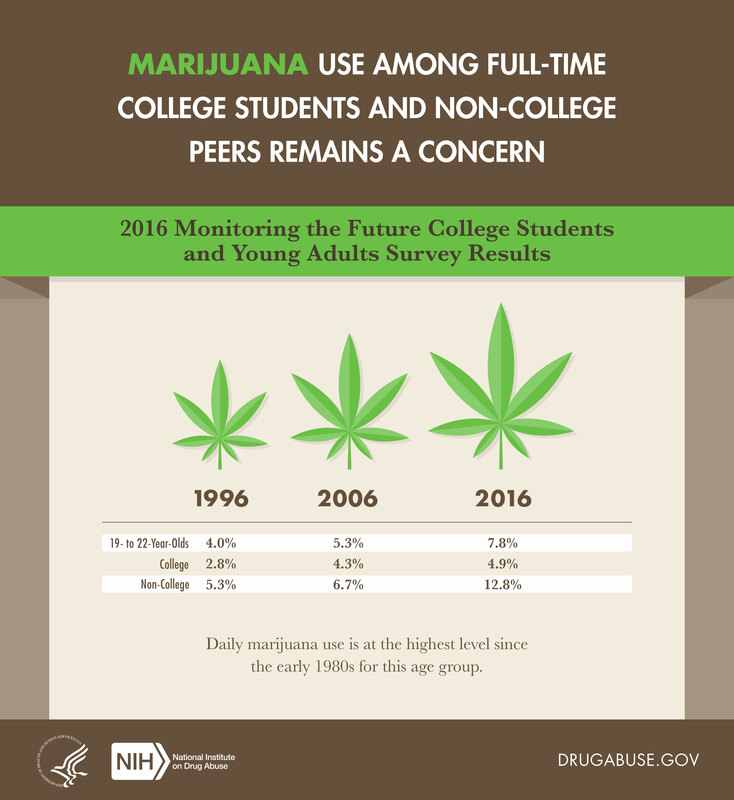 Monitoring the Future national survey results on drug use, 1975-2016: Volume 2, College students and adults ages 19-55. Ann Arbor: Institute for Social Research, The University of Michigan, 2017.